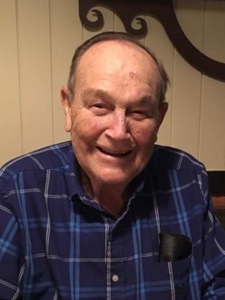 DELMAR- Dorian J. Lemieux Jr., 94, passed away peacefully on Sunday, February 3, 2019 after a brief illness. He was a Delmar resident for over 50 years. Dorian was born in Colchester, VT, on November 23, 1924 to the late Dorian and Blanche Marie Lemieux. He was raised on the family farm in Stowe Vermont, until it was sold in 1942 to the Von Trapp family, when his family moved to Manchester, New Hampshire. He was a proud graduate of Manchester West High School where he lettered in sports and became an Eagle Scout. Dorian served his country honorably in the United States Armed Services (Air Force) during WWII attaining the rank of Lieutenant. While in the service he earned an Air Medal with two Oak Leaf clusters for completing 30 missions and a Presidential Unit citation for taking charge of the aircraft on four bombing runs in the European Theater. After his military service he went on to complete his education, graduating in 1949 with a B.A. in Business Administration at the University of New Hampshire. While there he met his future wife, Shirley Hoyle. They were married for 32 years until her passing in 1983. Together they raised 5 children. Dorian began his career with John Hancock Life Insurance in New Hampshire, following in his father’s footsteps. His career advancements included moving his family to North Carolina, Massachusetts and then settling in Albany where he became the District Manager. He was very proud to be recognized in multiple years for achieving Regional Honors Sales Club status. He was a dedicated employee for 40 years retiring in 1989. Dorian will be remembered for his love of New England sports teams, especially the Red Sox. Baseball was a large part of his life each year from the day pitchers and catchers reported to Spring training all the way to the last game of the World Series! Dorian is predeceased by his wife, Shirley, his friend and partner, Mary McHugh, his son-in-law, Rob Lacey, and his siblings, Marilyn Moran, Roy Lemieux, and Roger Lemieux. He is survived by his children, Christine (Lee) Sheaffer, Susan (Marty) Richter, Judy (Barry) Canniff, Bob (Denise) Lemieux, and Michelle Lacey, his grandchildren, Greg (Chantal), Justin (Ashley), Dan (Jess), Laura (Paul), Kim (Tommy), Ryan (Karen), Matt, Abby, Emily, Bobby, Michael, and Nicole, and his 9 (and soon to be 10) great-grandchildren. Calling hours will be held at New Comer Cremations & Funerals, 343 New Karner Road, Albany, NY 12205, on Friday, February 8, 2019, from 4:00pm-6:00pm. A mass of Christian burial will be celebrated at St. Thomas Church, 35 Adams Pl, Delmar, NY 12054, on Saturday, February 8, 2019 at 10 am. Private burial will be held at Calvary Cemetery, Glenmont, NY. The family wishes to thank the staff on 1 West at St.Peter's Nursing and Rehab Center for their wonderful care of Dorian. In lieu of flowers, the family suggests donations in his memory be made to the American Diabetes Association at P.O. Box 15829 Arlington, VA 22215. Add your memories to the guest book of Dorian Lemieux Jr..
Dorian was such a gentleman. He had that old school charm! I always enjoyed chatting with him. He’ll be missed. My sympathies to the Lemieux family.